On February 14, Nikolas Cruz shot and killed 17 people at Marjory Stoneman Douglas High School in Parkland, Florida. It set off a new wave of anti-gun activism. The gun control wars have begun again, but for Broward County Sheriff Scott Israel, the war is coming home. Israel has touted his tenure in office. Yet, Israel, state officials, and the FBI have been torched by the media and other for their apparent refusal to enforce existing laws that could have prevented this shooting. Upset with Broward County Sheriff Scott Israel, members of a union of rank-and-file deputies will vote electronically over the next week on whether they have faith in his leadership. The so-called “no confidence” vote, slated to begin Friday night, is a first for the office. 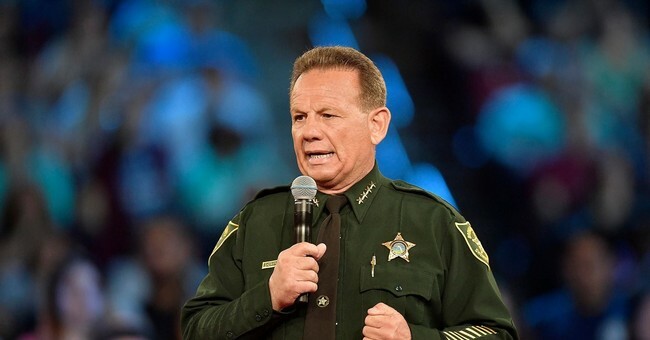 “A law enforcement union at the Broward Sheriff’s Office has never done this before,” said Jeff Bell, president of the Broward Sheriff’s Office Deputies Association, which scheduled the vote. The organization represents 1,050 members and its contract covers 1,300 deputies and sergeants. The vote is open to all of them, and will last until Thursday, April 26. The catalyst for the public show of displeasure was the Parkland school shooting Feb. 14, where a former student opened fire with an assault-style rifle in the freshman building of Marjory Stoneman Douglas High, killing 17. The most appalling aspect of this incident was that the school had a police officer assigned to the grounds; he never went in. Deputy Scot Petersonwas going to be placed on unpaid leave, but resigned instead, later saying that he’s not a cowardfor failing to confront Cruz. In the end, it took officers eleven minutesto enter the building. Israel had been accused in 2016 of using public fundsto build a political machine. Either way, after this tragedy and the failure to own up to it, it’s not ludicrous to say that Israel should probably go. To pile on the Broward County Sheriff’s Office, they had another embarrassing public relations incident after the shooting; another deputy was suspended for sleeping in his patrol carparked near Marjory Stoneman Douglas High School. Deputy Moises Carotti was suspended with pay pending an investigation. He had been assigned to a security shift at the school. So, yeah—maybe a change is what’s needed.